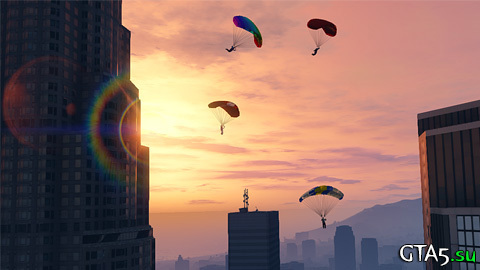 Join your friends / any random stranger for a game of Tennis, a round of Golf or go base jumping and more, all for cash and Reputation. 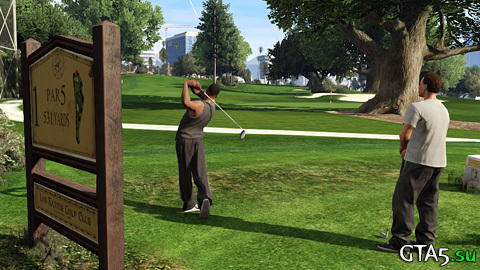 Hit the Los Santos Golf Club to play a round of nine spirited holes with up to four friends that you can distract and ridicule to your heart’s content. There are 37 Parachute Jump locations all over southern San Andreas where you can risk life and limb by plummeting towards terra firma at maximum velocity. You can jump from the tops of mountains, buildings or leap out of helicopters. 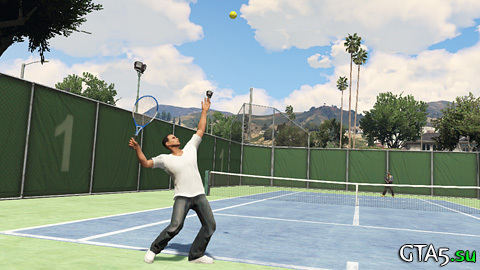 Even when taking a break from the turbulent streets of Los Santos, you can still show your opponents no “love” via an ace serve and vicious backhand. This local favorite pastime can be played at seven different locations. 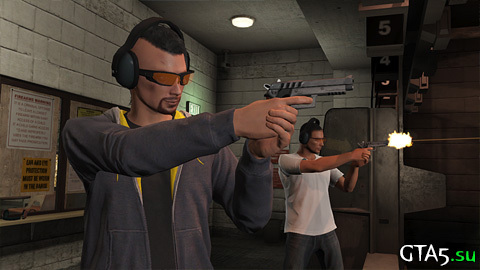 Become an expert shot by opening fire on targets that don’t scream, alert the authorities and occasionally fire back for a change. Visit one of two Ammu-Nation locations, on Elgin Avenue in Pillbox Hill, Downtown LS and in Cypress Flats, East LS. 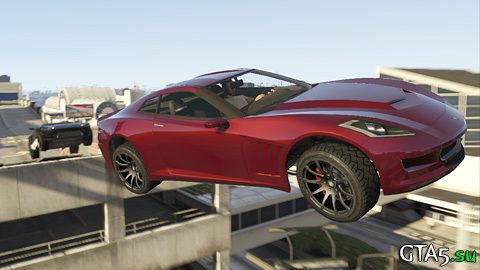 There are 50 Stunt Jumps in GTA Online to test your mastery over vehicular physics and ability to ignore your better judgment. 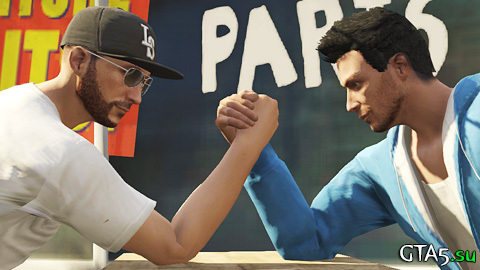 Arm Wrestling is a very primal and slightly romantic testosterone-driven challenge with very little button memorization needed. Select a radio station to set the mood and then go mano-a-mano against a challenger to see who’s got more brawn and endurance. 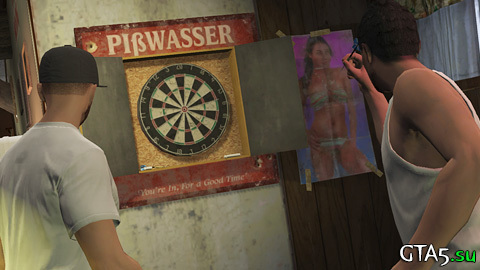 Grab a friend for a road trip to the Yellow Jack Inn located on Panorama Drive in the Grand Senora Desert, where you can kick back and toss a few precise projectiles in this time-honored barroom game of accuracy and skill.